This site is located on the northern coast of our mystery country. It’s one of the world’s oldest continuously inhabited places. It changed hands as a major port from Phoenicians to Greeks to Romans to various Muslim dynasties to Crusaders to Ottomans, and for a time, was one of the two most populous cities in the country. Today, the 12-century fortress of the Knights Hospitaller, known as the Knights’ Halls, is a popular attraction. The founder of the Baha’i faith spent the last years of his life here and his shrine is the most important place of pilgrimage for the Baha’i faithful. The city is also full of lovely old mosques, churches and synagogues. 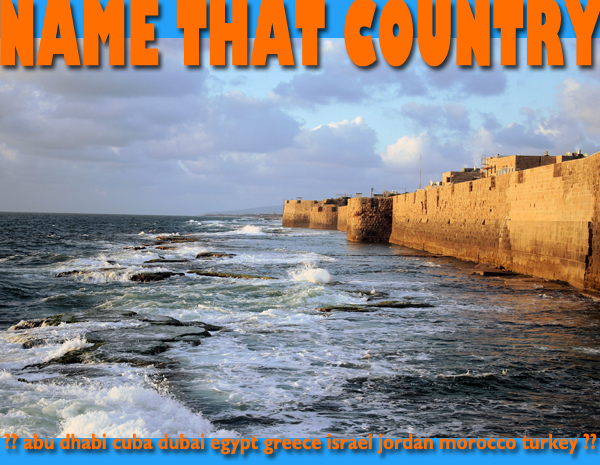 This week’s mystery country is ISRAEL. The site is Akko (ancient Acre). This entry was posted in Israel, name that country quiz, Uncategorized and tagged acre, akko, Israel, israel tours by yalla2013. Bookmark the permalink.